Moreover, there is a real danger that before the summit opens, Putin may succumb to strong nationalist pressures to send Russian regular forces into eastern Ukraine, presenting NATO with another fait accompli on top of its occupation of Crimea. What impression will be given if, as Russia carves up Ukraine and adopts a more threatening posture to its other European neighbors, the alliance’s main response is continued fiddling with long-term institutional defense reforms? Yet while time is running out, the summit can still be turned into an instrument for forging a strong response to President Putin’s attempt to destabilize eastern Ukraine and redraw the boundaries of Europe. The Wales meeting's first priority should be to reassure Ukraine and other democracies along Russia’s border that the alliance supports the preservation of their independence and territorial integrity. If Putin continues his proxy war and support for the separatists, the alliance should be prepared to provide Ukraine lethal military assistance, including anti-tank weapons and surface to air missiles, and to deploy intelligence platforms to improve the situational awareness of Ukrainian security forces and military trainers. The alliance should also resume military exercises with Ukraine to help train its armed forces. True, Ukraine has made gains against the rebels in recent days. But Ukraine’s military is not in a position to standup to more direct Russian aggression. To reinvigorate the summit planning process and ensure its success, the president or a senior White House official (Vice President Joe Biden or National Security Advisor Susan Rice) should give a speech in early August outlining the president’s goals for the summit. 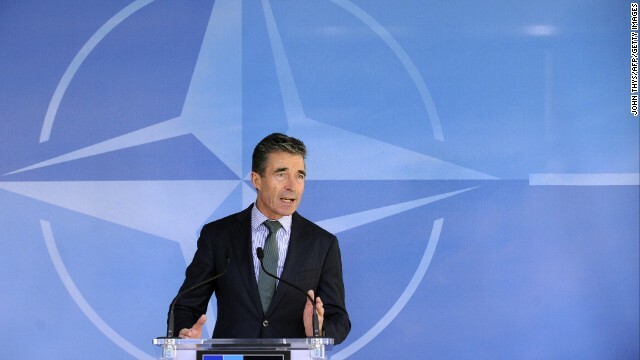 It should highlight the steps the United States has taken to reinforce NATO's security in the midst of an increasingly aggressive Russia and call upon European allies to do their share in shoring up the alliance and Ukraine. Finally, the president should invite key congressional leaders from the House of Representatives and the Senate from both parties to be part of his delegation to the NATO summit. Their participation would underscore bipartisan commitment to the alliance and help make them key stakeholders in programs and initiatives agreed upon in Wales. Through these actions, the president can ensure that the Wales summit will underscore transatlantic resolve and capability in the face of Russian aggression and provide the strong, decisive U.S. leadership NATO needs in this time of crisis. Well said, derss. I couldn't agree more! The U.S. controls NATO lock, stock and barrel and therein lies the problem. There isn't one European leader today who has the guts to act on their own, the gutless wonders! I only have on thing to say to Putin: Putin — khuylo! I have another, Ferhat. First, I'd say "zdrastia, drug moi " and then "kak spralivi vy ob Ykraynye"! In response to an insane landfill of KremlinShiII propaganda, and flat-out unintelligible gibberish, CNN has unfortunately been shutting down, or not opening up in the first place, the comment-sections of Ukraine-oriented articles. This is a blow to freedom of speech. What CNN publishes has nothing to do with freedom of speech. You can say anything you want to say. So can I. Either of us can write a book in the USA. We used to have a little more freedom of speech. I think that anybody should be free to say almost anything. Freedom is infinitely more important than feelings. It says I've already made a comment that in fact has failed to post. How does one work around this? Is there a length-limit to posts here? Rewrite it. Check for hidden naughty words, included but unnoticed. I did, and cut it to a few sentences, and I know about the word-filter. It's as though the content were being checked. But I can make these useless comments. Trying to talk about about con sti tu tional free dom of speech. ... as distinct from the ve nue for free speech comm ent sec tions pro vide. Sorry to chop up words and sections. This is very strange. Can't post an articulate paragraph here for some reason. Sorry, guy, it is not a Kremlin conspriracy. The comments are closed on most stories about Ukraine, in most Western outlets, because of the embarrassingly large percentage of anti-US, anti-Obama, anti-media opinions and comments. I am not a Kremlin shill, I am Tea-Party, Kansas. I have been to Ukraine, and to Russia. When you have been there, too,. you might have credibility. I too have been to Russia and found the people there to be very cordial, James. Unfortunately, most Americans keep buying into the right-wing, anti-Russian propaganda spewed out by the right-wing news media! Nobody said you were a Kremlin Shill. The Ukraine articles attracted the likes of 'William S.', a read-only bot-script persona that would post the same anti-U.S. message 15 times in a row, virtually unaltered. @Joseph A distinction must be made between the Russian people, and the classic Soviet-era-style propaganda engine. Rarely have I concluded that my comment was rejected for content, and that was not in this forum. I remember my being unable to post praise of wonderful President Reagan's vision for a USA missile defense system with capabilities similar to Israel's present system, and admiration for that president's concept of the foundation of peace for my nation. CNN publishes many different viewpoints. I apologize for the typo in your name, @ danR. Can't understand why I can't write a brief paragraph on free sp eech. There are no trigger-words; nothing to hit the filter. Rasmussen is a warmonger, and Poroshenko is a war criminal. Ukraine shot down MH-017 and has killed 2000 civilians, according to the UN. Have you a reference for that claim about the U.N.'s 'according to'? Fareed, you wanna check what's with CNN's filters/algorithm? Why are my several attempts, each one unique, at a paragraph on fr ee speech not posting? There are no banned words. Something's haywire. The authors have forgotten that amid stagnating economy in Europe there's simply no room for defence budget. The will for a military build-up within NATO is there, but there's little money around. Putin knows his European adversaries well. But it will be a Pyrrhic victory for him, even if he gets what he wants. If I were the Prime Minister of Great Britain j. von hettlingen, I'd pull that country out of NATO and quit taking orders from Washington D.C.
Then you would be a British patriot. NATO has no reason to exist any longer. It is nothing more than a club of debatched Western European bullies regularly called upon to enforce the dictates of the American Empire. If NATO continues this then it should be attacked by the real forces of freedom who are opposed to the New World Order, which is being imposed by both parties and by the US dictator Barack Insane Obomber. Rasmussen is nothing but a Rasputin to the West. The people of Western Europe are for the most part not supporting the belligerent sanctions and military stance against Russia over the Ukraine issue. Only the Americans and the EU/NATO are supporting a fascistic government in Kiev, and the controlled media like CNN and Fox are propagating the lies. Mr. Fareed in his dogged support of Obama's regime is sounding more like Goebbels was to Hitler – a propaganda minister. Quite true, BelarusGoose, quite true! Yet another opinion piece that says the US should do something about Ukraine without telling us why. The Russians controlled Ukraine for the entire history of the US up until just over 20 years ago without any negative repercussions for the US. The folly of trying to bring Ukraine into the Western orbit without Russia coming along is ridiculous in the extreme. The West's relationship with states like Ukraine is inconsequential to the one we have with those like Russia. Unless and until you can get Russia to join the civilized world, trying to bring in states that Russia's leaders view as their personal property will cause nothing but problems for prizes that aren't worth the effort.